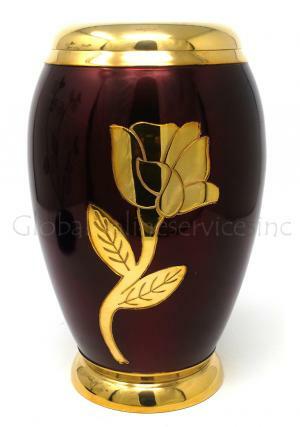 The red and gold flower urn is finished with high quality solid brass. 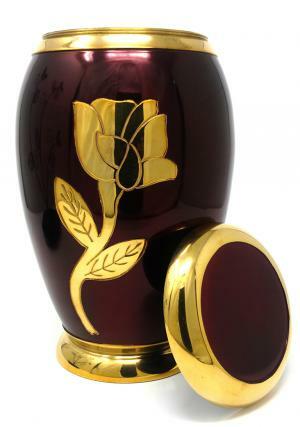 It has been hand casted and intricately handmade by our professional skilled artisans. 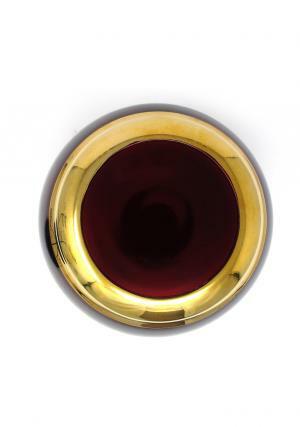 It has a red pewter finish with a solid brass design. 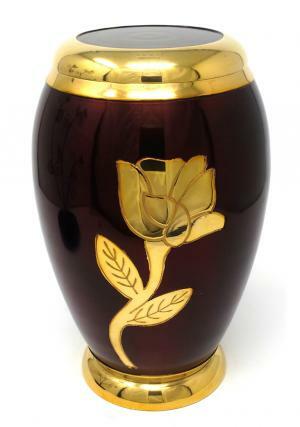 Urn is stunning and decent adult funeral urn which helps to keep close to you, forever. 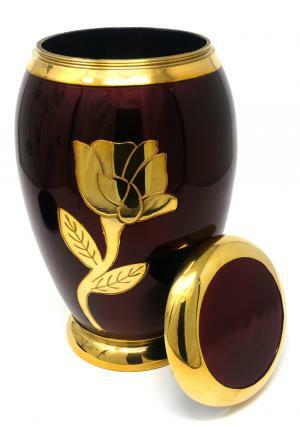 The adult memorial urn is flattened on the top of the lid with polished gold finishing. threaded secure lid. 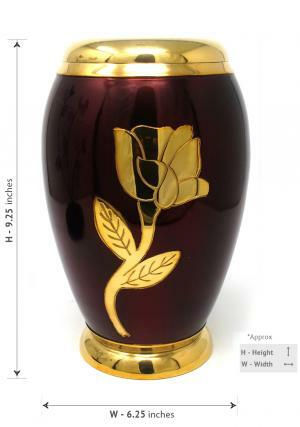 Adult urn capacity: 180 cubic inches, weight: 2.62 Kg; dimensions (inches): height: 9.25, free standard delivery in UK or selected expedite shipping!